For some readers neither SRT nor regular exercise will have much appeal. Sleep restriction may sound difficult if you feel you don’t get enough sleep. Nobody wants to experience sleep deprivation. And sleep deprived is probably how you’re going to feel in the first week or two of therapy. Most people’s sleep eventually improves (and continues to improve following treatment), but the fact remains that in the first few weeks, SRT is not a picnic. Many insomniacs are likewise turned off at the thought of exercise or physical training. And just how realistic is it to think that people experiencing mild sleep deprivation will be motivated to step up their level of physical activity? Research has shown that exercise improves sleep, but it’s also shown that poor sleep makes people less willing to exercise. How could an insomnia treatment be set up to avoid these potential snags? The team from China, whose study appeared in Neuropsychiatric Disease and Treatment in October 2015, did so by using a slightly modified version of SRT and offering intensive one-on-one support for the exercise. Usually people begin SRT by keeping a sleep diary and restricting their time in bed to their average total sleep time (but usually not less than 5 hours a night). In this study, all 71 participants began with a sleep window equal to their average total sleep time plus half an hour. 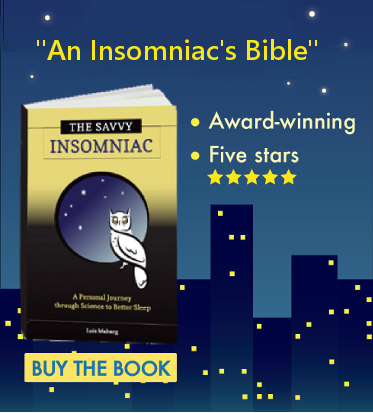 So a person averaging 5 hours of sleep a night began SRT with a 5.5-hour sleep window. The rest of the 4-week treatment went by the book. Participants used data from their sleep diaries to calculate sleep efficiency at the end of each week and adjusted their sleep windows accordingly. a prescription for how and when the exercise would be carried out, and a calendar for recording each exercise session and noting weekly follow-up visits with the counselor. At the follow-up visits the counselor reviewed each participant’s progress, provided support, made adjustments as needed, and encouraged adherence to the fitness plan. After 4 weeks of SRT, the sleep of both groups had improved: participants were falling asleep more quickly, experiencing fewer middle-of-the-night wake-ups, and sleeping 20 to 30 minutes longer every night. They were also more alert during the daytime. But the sleep efficiency of the exercisers improved significantly more than that of the non-exercisers (20% vs 13%). In other words, the exercisers were spending less time awake in bed. Also, the exercisers reported significantly less sleepiness and fatigue during the daytime. This might be a direct effect of the increased physical activity during the daytime. But the authors suggest it might also be a sign of improved sleep quality. These results don’t surprise me. If I hadn’t kept up my workouts on the elliptical trainer during SRT, getting past wakefulness to sleep would have been harder. I’m almost certain my sleep wouldn’t have improved as quickly as it did. If you’re considering SRT, consider stepping up physical activity as well. It can only help. If you found this blog post helpful, please like and share on social media! this is interesting and something I’ve been experimenting with. i noticed on days when i take it easy and try to rest, my sleep is better. when i was exercising my sleep actually was worse. for me, i believe my insomnia started because of postpartum hormones and became a vicious cycle after that of taxing my adrenals and causing major anxiety. from what i have read about adrenal fatigue (which often is caused by and causes insomnia) you need A LOT of rest in order to heal and restore, plus you need to eat a diet full of good fat (animal fat, avocados, coconut oil, cod liver oil) to help your hormones recover. your adrenals are what regulates your hormones. on days when i make time to rest my sleep is much better… on days when i am running around like crazy and exercise, my sleep is worse. I know that long term i will resume exercise, but for now i believe i need to let my body rest as much as possible. Thanks for your comment. You raise a good point, namely, that what works for some people may not work for others. I think it’s safe to say that no on with a sleep problem sleeps better on days when they’ve run around like crazy. But scheduled exercise is a different thing. I’ve talked to lots of people with insomnia and noticed a sort of division among them. Some (like me) find that vigorous exercise helps them relax. Often they’ll add that other paths to relaxation—meditation, yoga, deep breathing, progressive relaxation—just don’t seem to work. 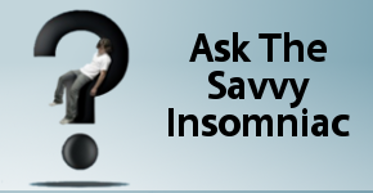 Other people with insomnia really respond to these mind–body therapies. And when your life is hectic sometimes doing nothing is the best Rx there is. I think the right course of action is to do whatever works. For me, a brisk 20-minute walk following a difficult night of SRT erased the morning grogginess I felt, which then helped me get through the day. It worked that way for me, too. That’s something I think about when, for one reason or another, I have a short night’s sleep. A brisk 20-minute walk outside can give me as much stamina and make me feel as clear-headed as a cup of coffee. It’s probably better for me, too.